1-Jan-18 Operating Year and Fiscal Year begin. 1-Jan-18 January Newsletter mailing date. Include results of annual board members election. 1-Apr-18 April Newsletter mailing date. Include membership reminder announcement. 1-May-18 Deadline for President to appoint Nominating Committee, consisting of at least 3 active members, to prepare nominees for Directors. 30-Jun-18 Membership Year ends. Membership dues for renewal are due. 1-Jul-18 July Newsletter mailing date. Include announcement that this will be last newsletter sent to people who have not renewed. 7-Jul-18 Email membership renewal reminders to everyone who has not yet renewed. Attach fillable PDF form. 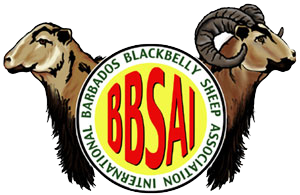 31-July-18 Remove non-renewing members from the BBSAI membership list. 14-Sep-18 Deadline for Nominating Committee to submit Director nominations to President (60 days prior to the annual meeting). 14-Sep-18 Deadline for Director nominations by petition (by at least 3 members, at least 60 days prior to the annual meeting). 30-Sep-18 Deadline for members to submit their agenda topic(s) to secretary in order for topic to be included in notice of Annual Meeting (at least 10 days prior to mailing). 14-Oct-18 Deadline for Notice of Annual Meeting (must be mailed between 60 and 30 days prior to Annual Meeting). 14-Oct-18 Determination of membership voting power for Annual Meeting votes (at time announcement is sent, at least 30 days prior to meeting). 16-Oct-18 Secretary prepares alphabetical list of names of members entitled to vote at annual meeting, with addresses, number of votes entitled, and breed designations (must be done 2 business days after notice is given for meeting, and continuing through time of meeting). Will be made available by U.S. mail upon request by member). 4-Nov-18 Deadline for members wishing to attend Annual Meeting to contact secretary in order to receive dial-in or login instructions and the meeting agenda (at least 10 days prior to meeting). 4-Nov-18 Deadline for members to submit topic(s) to secretary in order for topic to be included on Annual Meeting agenda (at least 10 days prior to meeting). 14-Nov-18 Annual Membership Meeting (required date is second Wednesday in November). 14-Dec-18 Deadline for Annual Meeting Ballot to be mailed to each active member (within 30 days following annual meeting). 31-Dec-18 Operating Year and Fiscal Year end.